The Salmon River Enhancement Society is a citizens group that formed in 1995 to work with government agencies, increase public involvement and lobby government agencies when appropriate. The society functions as a “watchdog” over the watershed. 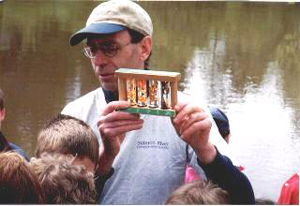 The goal of the society is to increase public awareness and support research of the Salmon River and its watershed. The society works with the Langley Environmental Partners Society, Trinity Western University, SRWMP UBC and other local environment groups. We meet regularly and are involved in school programs, public forums, tree planting, Rivers Day and local issues affecting the health of the river. In 2013, we held a very well attended public forum on the history and current issues affecting the Salmon River watershed. We were involved in the placing of road signs advising people when they are entering and leaving the watershed and we led a 2-year program that tested water quality in the Salmon River and tributaries. 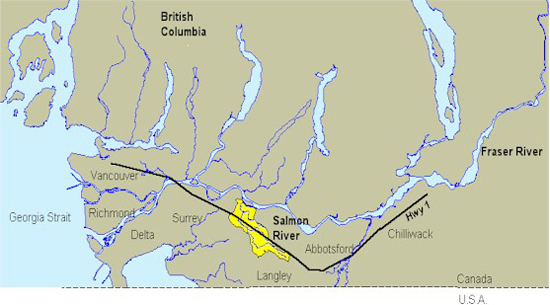 The Salmon in the Valley program, sponsored by the society, has educated thousands of students in grades 4 and 5 through field trips to the Salmon River on the environmental lands of Trinity Western University. We are now in the process of preparing information for new homeowners to explain what good environmental and river stewardship involves. We are making progress but there is much more to do to educate residents and to encourage them to become personally involved so that they will buy in to the importance of preservation and protection of the watershed. If you’d like to get involved in the work of the society, send us an email. 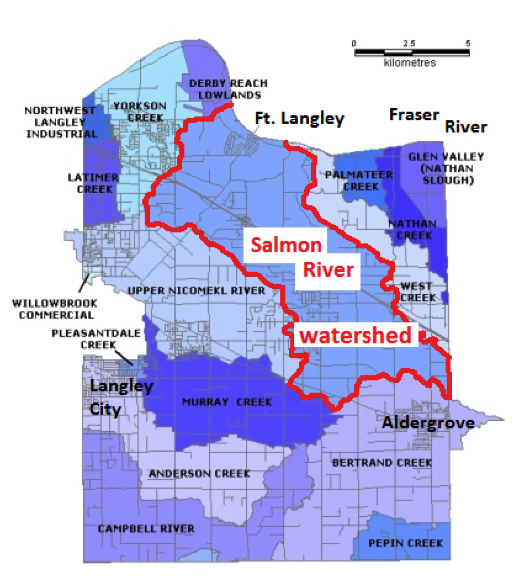 The Salmon River Enhancement Society gratefully acknowledges the ongoing support from the Langley Environmental Partners Society.